Gamification, could that work? : What is Minecraft? In the ongoing MOOC, Minecraft for educators, we've been asked to identify the different platforms that you can play Minecraft on (Console, Tablet, PC etc) and produce a comparison describing the differences and limitations of each. This first task to show our understanding and knowledge of the different platforms that Minecraft comes on and clearly show what each version is capable of or its limitations. Therefor, here we go. The first version of Minecraft I bought and played, where I saw the light and also understood this ain't enough! We need multiplayer, we need collaboration and we need an easier way to control our character. But there's some cool features as when it comes to crafting, it's enough to have one piece of wood in your inventory to see what you can craft from that. There's also a separate workbench for stones. Above: another workbench (sort of) for the stones (to the left). 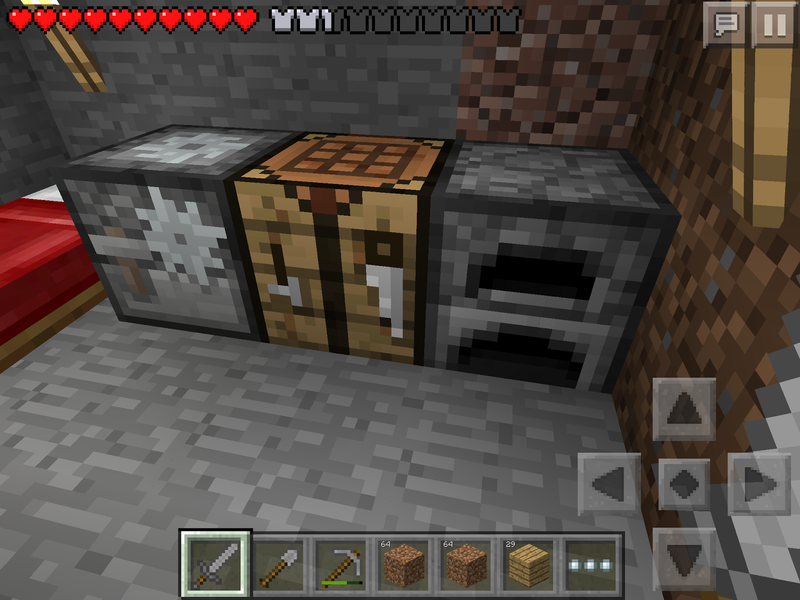 Below: Just a quick look to show how Minecraft look inside PE and where you find the controls. Even though I'm an old WASD-gamer I had some issues moving around and do/undo blocks the first sessions. Luckily I both had students and a 5 yo daughter who started to help and teach me. 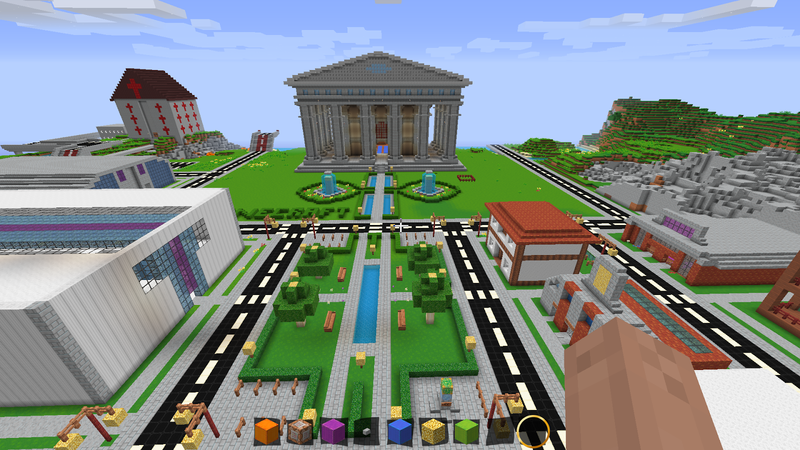 With the PC version my educator eyes opened and I saw the possibilities how to use Minecraft in education. Comparing with the other plattforms PC has the easiest controls, the worlds are almost unlimited and it's easy to get an exactly position (XYZ). 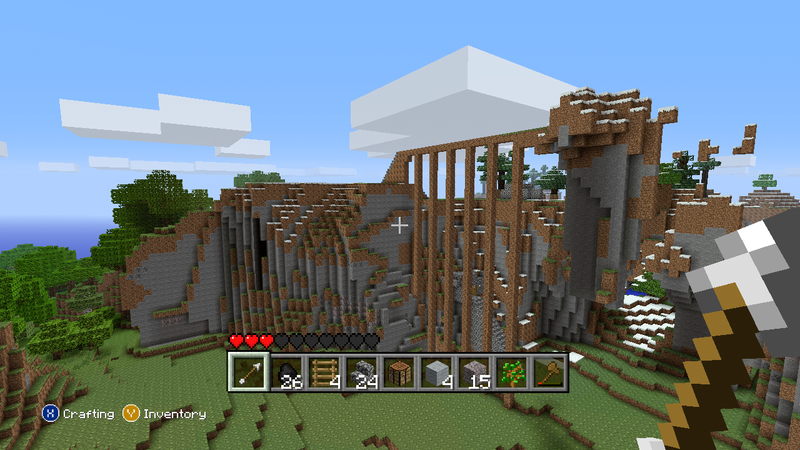 Redstones gives a new dimension what to use Minecraft to. It's also a flexible plattform as you can mod it free of choice. Above: how the PC version will look like with the amazing texturepack Dragondance. MinecraftEDU brings features that really help you in the classroom, as you easily can manage your class, mute or freeze them, teleport, give items and more. These things has turned out to be much valuable when you use Minecraft with older kids as they seek up the mobs instead of avoid them. It's very hard to keep them on track and you have to put up lots of quests to have their focus. Above: so the MinecraftEDU adds a teacher panel down to the left, otherwise it looks the same as ordinary Minecraft. I have no experience of the xbox version (or the other ones). I find myself have some difficulties with the control pads when I play other games, there's too many bottoms and also very hard to focus where to aim. What comes to pos / cons, this is what I figured out after reading this comparison made by Sgt Merrell. Above: so here's the Minecraft Xbox view and down to the left there's some kind of "meny", buttons you need in game. The inventory bar is also a bit higher up than in the other versions. No matter what platform, be aware of your student will find other things to do no matter what you have planned. Allow some creativity, they will anyway learn the key competences of lifelong learning, a goal which is difficult to reach usually. MinecraftEDU is to prefer as you can freeze your students and also easily control the class and classroom, as shown in the picture below.